Today’s comic starts a sensitive but important topic – suicidal ideations. 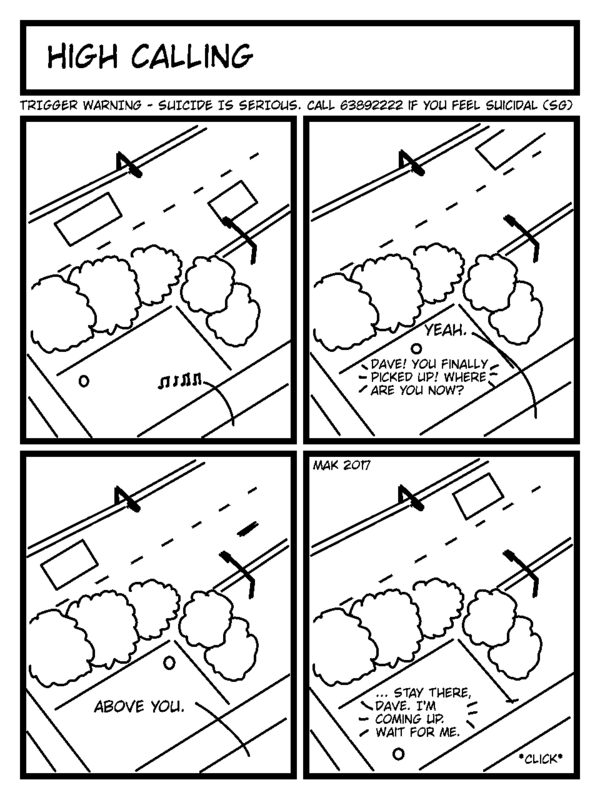 Please talk to someone if you feel suicidal, or feel triggered by this series of comics. The comics themselves have a number to call if you’re in Singapore. Otherwise, please bear with me. There’s a message in this series that needs to be heard. To fellow sufferers, this is my tribute to you for your courage to stay alive each day.